Robert Lee (Jack) McDonald, son of Seborn and Lodie McDonald, a graduate of Laing H.S. Con.1. 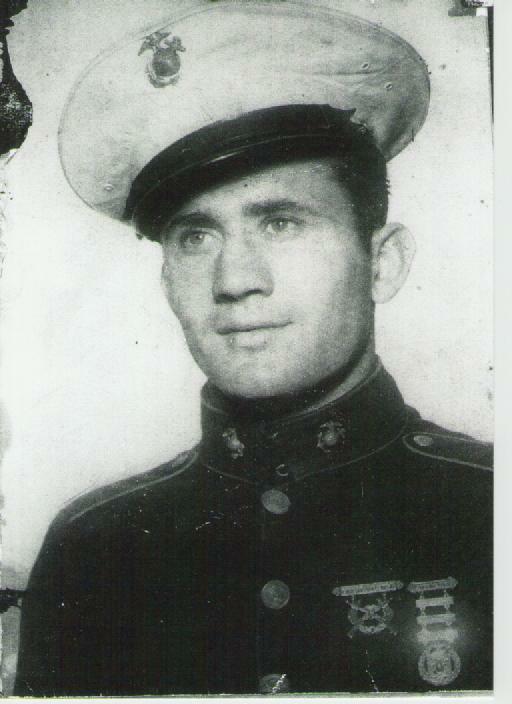 He was in the 1st Marine Div. landing in Okinawa for the last battle and received the bronze star and purple heart along with other citations. He was born: July 2, 1920, Tipton, Oklahoma died Sept 2, 1949. Although not listed in the original 1940's publication, his name and picture have been added as a WWII Tillman County Veteran by his family.